We are engaged in offering our prestigious clients a very highly superior quality range of Danfoss Drive Repair. Our range is known for its advanced quality and available at market's most reasonable prices. 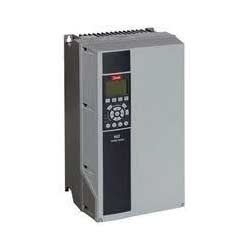 Danfoss HVAC drive supply and maintenance service. 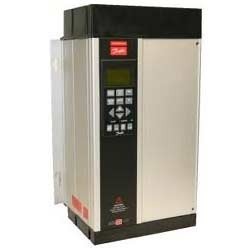 Expert Danfoss Drive repair, Danfoss Servo Drive, Danfoss VFD repair, Danfoss Spindle Drive, Danfoss AC Drive, Danfoss VFD, Danfoss DC Drive repairing. List of some of the Danfoss drive models we repair and Legacy danfoss & Vacon Drives , Obsolete /Discontinued Parts , Danfoss Drives and Conversions support. 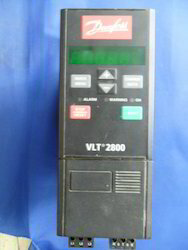 VLT series 5000 ,VLT 6000 , FC300 Automation ,FC200 Aqua and FC100 HVAC , VLT Integrated Servo Drive ISD 510 , NXP Liquid Cooled 22-Vacon , NXP Liquid Cooled repair . Replace obsolete products - VLT2000 , VLT2800, VLT6000 and VLT3000 & more… . We are providing our services in Mojor Cities in india - Chennai ,coimbatore ,tada industrial area , Banglore, hyderabad, Delhi ,Ncr, Noida, Gurgaon, Munbai,Pune , Nagpur ,tata nagar , jamshedpur ,Ghaziabad, Sahibabad, Meerut, Daurala, Sikandrabad, Faridabad, Roorkee, Uttarakhand, Panipat, Sonipat, Narela Industrial Area, Haryana, Lucknow, Surat, Jaipur, Roorkee, Dehradun, Rudrapur, Uttarakhand, Uttar Pradesh, Agra, Pathankot, Singrauli, Bhakti Nagar, Bhavnagar, Ludhiana, Karnal, Ambala, Jalandhar, Rajpura, Baddi and Himachal Pradesh. 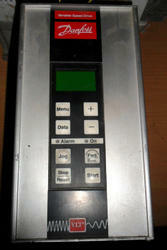 List of some of theDanfoss drive models we repair. Looking for Danfoss Drive Repair ?